Dissident. When your personnel present is randomly selected by a dilemma, you may replace that personnel with a personnel from hand who has the same cost as that personnel. 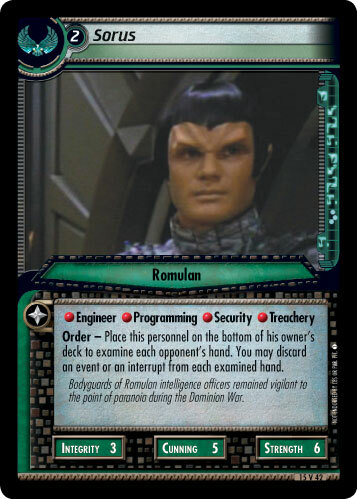 Place the personnel you replaced in his or her owner's discard pile. 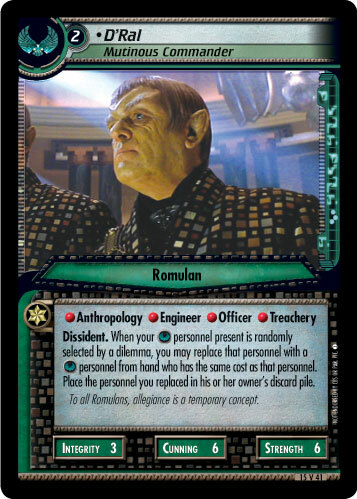 To all Romulans, allegiance is a temporary concept.